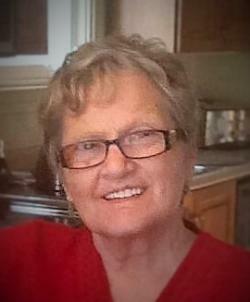 Mary Joseph Traverse (nee Connors) 82, passed peacefully away on January 11, 2019 at the Lions Manor Nursing Home, Placentia following a brief illness. Predeceased by parents Mary and Tom Connors, brothers John, Cyril, Jim, Frank and sisters Elaine and Monica. Beloved wife of Liguori for 48 years. Forever blessed with treasured memories of family times and milestones celebrated together. She is survived by her daughters Karen (Lloyd), Kelli (Jim), Cherie (Andrew); grandchildren, Kristen, Jeff, Olivia, Nicholas, Lucas and Grant; and great grandchildren Mason and Sawyer; also her brothers Tony (Judy) and Tom (Helen). Mary was a devoted wife and mother as well as a dedicated teacher for 32 years. Funeral arrangements entrusted to Maher's Funeral Home, Placentia. Visitation to take place on Sunday from 7pm to 9pm, and Monday from 2pm to 5pm and 7pm to 9pm. Mass of Christian Burial to take place 10:30am on Tuesday, January 15th at Sacred Heart Church, Placentia. Interment to follow at Dermot McGettigan Memorial Cemetery, Southeast Placentia.